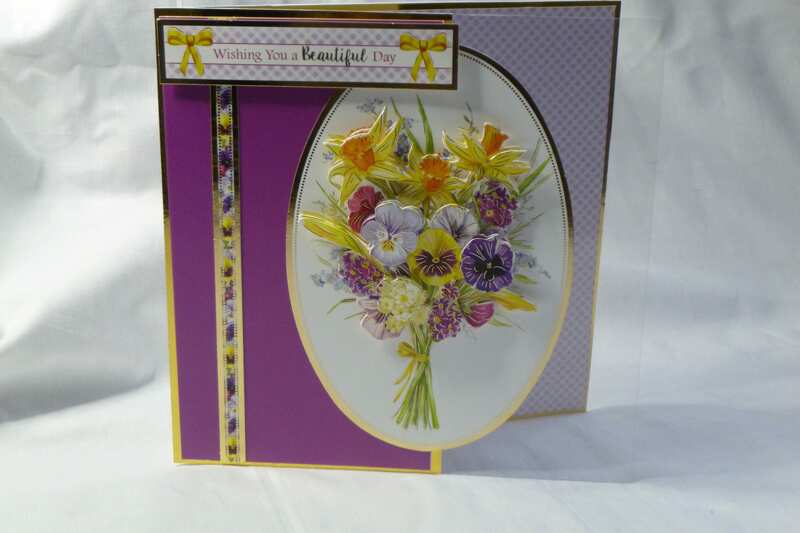 Birthday card, Spring flowers in 3D decoupage, white base card layered with gold card and patterned card, the inside of the card is pale lilac diamond patterned card left blank for you to write your own personal message. 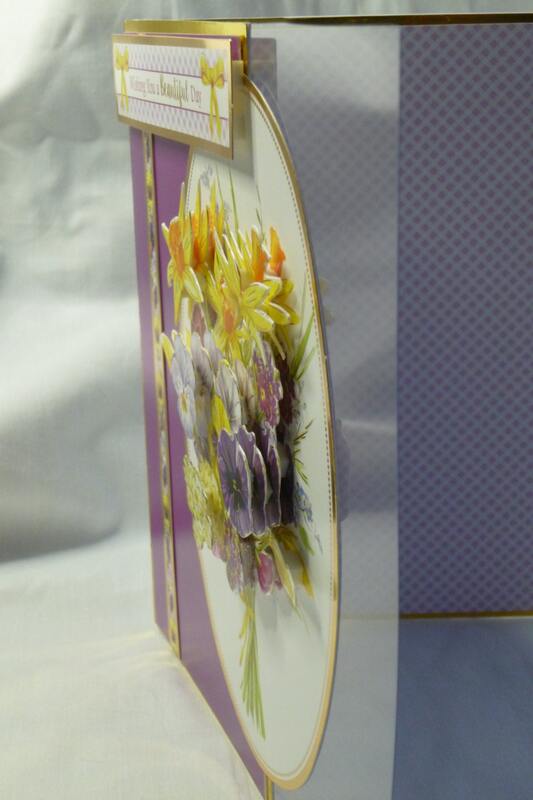 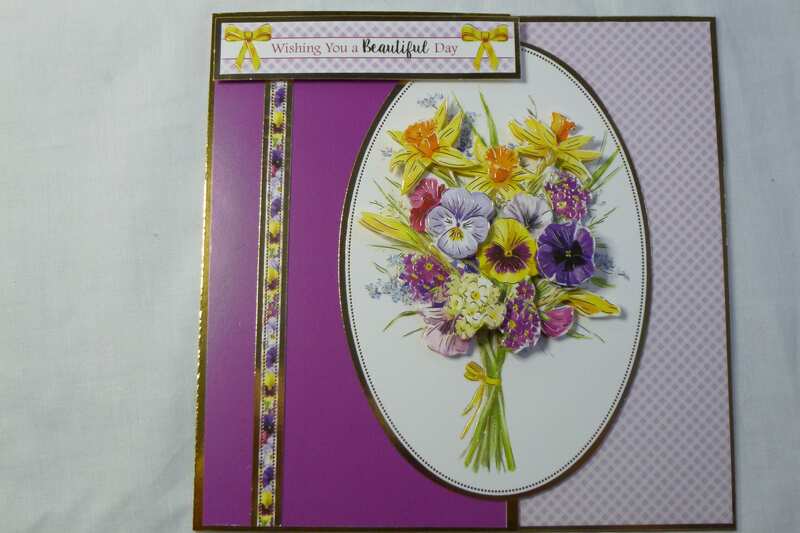 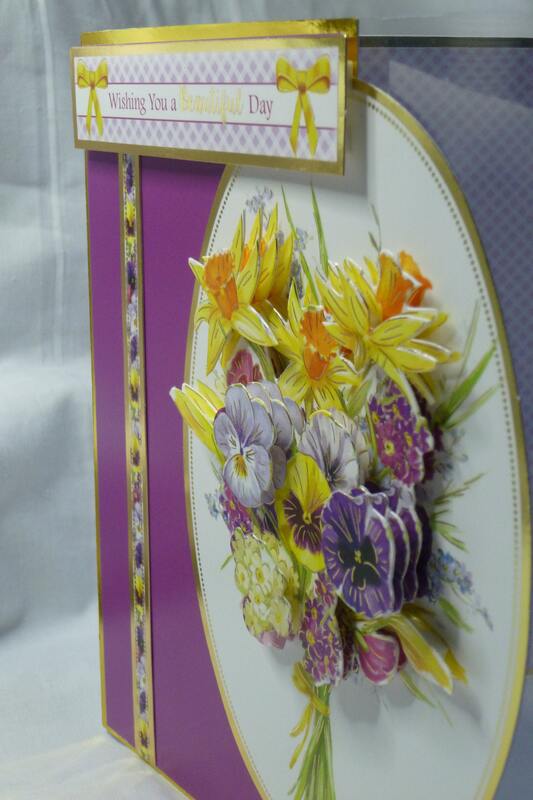 The front of the card is made in two parts, the left hand side is layered gold card and dark purple card with a flowered patterned strip down the front, the other half has clear acetate, in the centre is a large oval topper with 3 D decoupage of spring flowers, in the top left hand corner is the sentiment which says, 'Wishing You A Beautiful Day'. 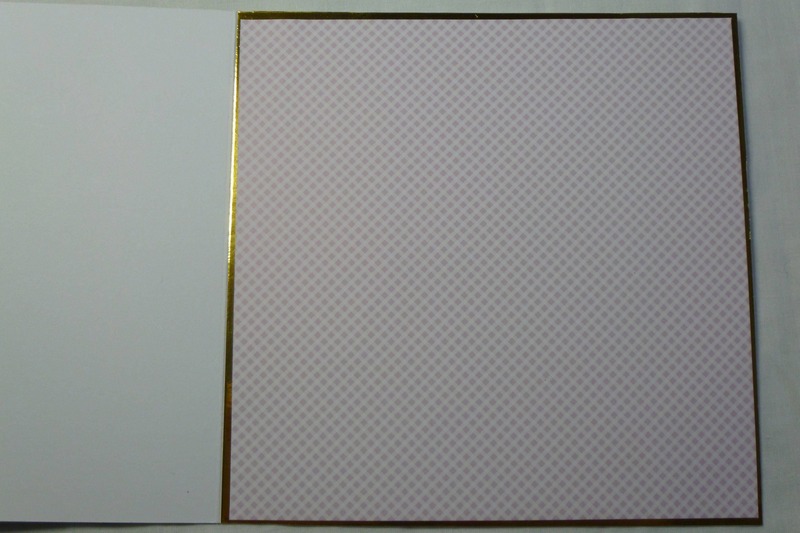 The card measures 7 inch x 7 inch, 18 cm x 18 cm, includes a white envelope.